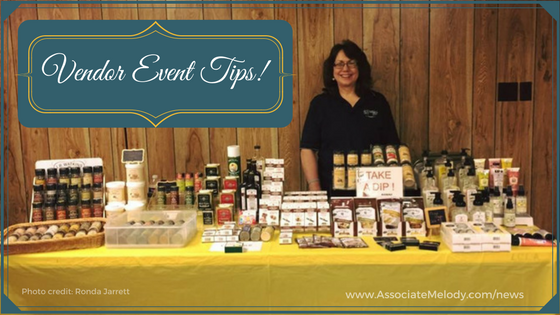 You may have heard that setting up at vendor events is a great way to generate sales, meet new people who will become your customers, party hosts, and Consultants. Using events as one of your marketing strategies is a great way to expose your business to new people. 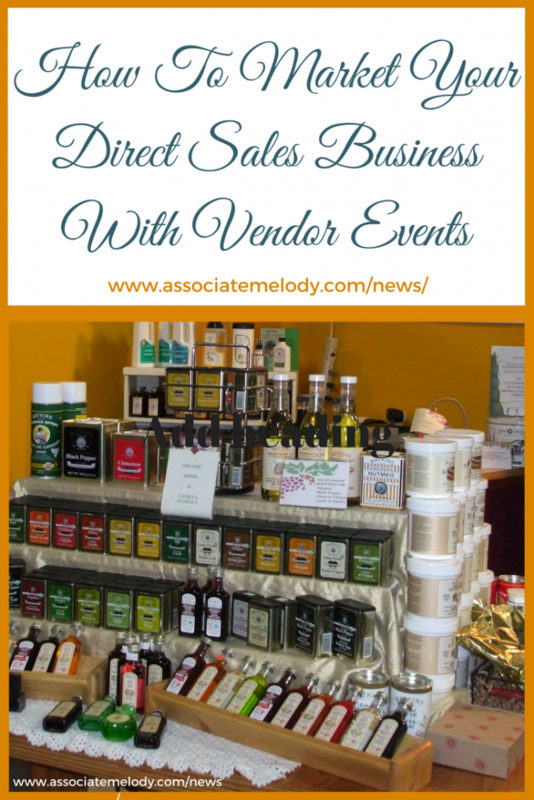 Here’s how to market your direct sales business with vendor events. What are vendor events? They are events that include small or home-based business people who are vendors and are attended by the public. This includes County fairs, flea markets, Christmas bazaars, trade shows, farmers markets, community and church events, sales or shows etc. One of the first things you’ll want to do is define what your goal is and determine how it fits in with your overall plan for your business. What do you want to achieve by doing vendor events? Do you want to book parties? Are you looking for people to join your team? Or will your goal be to generate massive retail sales? Certainly, your goal could be all of these things however, you’ll have better results if you focus on one main goal. I’ll let you in on a little secret, home parties and vendor events are the two best strategies for generating sales. These two strategies are also the best ways to meet new party hosts and people who want to join your team. If your goal is to book home parties then your focus will be to meet potential part hosts. Setting up at vendor events a few times in the year is another way to expand your market and meet new people who are interested in hosting a party with you. 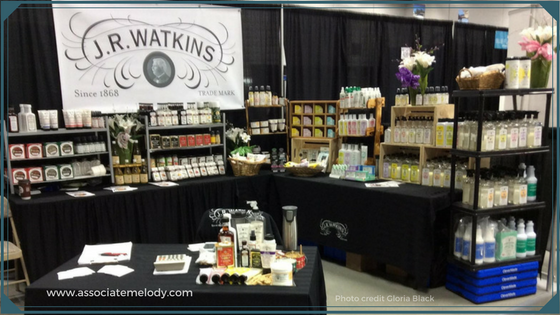 You will only need a small display to showcase your products, and/or to use as samples or for demonstrations. People love to see, smell, taste, and touch. Include several signs around your display to highlight the benefits of hosting a party. Have host packages ready to go for anyone who books a home party. Your packet might include several catalogs, a host brochure, a guest list, and customer order forms. If your goal is to generate sales you’ll need to have a large inventory for your events. You’ll want to book your calendar with multiple vendor events every month. Sampling sells so be sure to have products for your booth visitors to try. 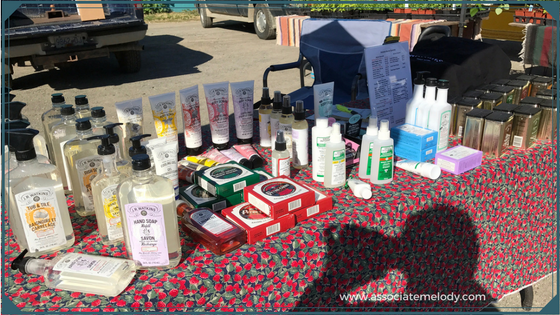 If your goal is to sponsor other and build your team you’ll need a small display to highlight your products and several signs featuring the benefits of becoming a consultant. Bring a computer or mobile device so people can join your team right on the spot. Offer an incentive if they join now. Be sure to have business opportunity packages prepared and ready to give to prospects to take home with them. Don’t forget to get their name and contact information and set up an appointment to follow up with them. Catalogs, order forms, draw slips, and other literature. Display shelves or units of some type, optional Even your empty boxes covered with a table cloth work well to add height to your display. Height adds interest and attracts more people. Some venues expect you to provide your own table and chairs, and if it’s an outdoor event you’ll want a canopy or shelter device to protect yourself and products from the elements. Full product catalogs – catalogs are a wonderful tool that puts your entire store into a prospective customer’s hands. People who purchase from you or place an order or show a sincere interest in your business can be offered a free catalog. Use your draw slips to collect their name and contact information so you can touch bases with them after your event. Order forms/order book – you’ll need to give your customer’s a receipt. An order book is good if customers are buying from your table. If you are ordering and delivering their products after the event you might want to use a three-page customer order form. Then, your customer will have a record of their order to take with them, you’ll have one copy for delivery and one to keep. When you are just starting you may not have much product to display or sell. That doesn’t mean you can’t make an attractive display with what you do have and collect orders. Make sure your products are clean. Products you have opened for your own use can be used as samples or for demonstrations. Once you become more established you’ll find a good rule of thumb is; Stack ’em high, watch ’em buy! People will buy more if they can take the products with them rather than they will when they need to place an order. Bare tables don’t look very appealing, table skirts are a great addition too – you can hide boxes under your tables. Brand logo table cloths are only one option, any clean, unwrinkled, not stained fabric or table clothes will do the trick. Don’t forget to have a draw box or lead box. An empty laundry detergent box works well for this. One of your goals at a public event is to collect prospective customers, hosts and potential consultant’s contact information. You’ll want to qualify their interest to obtain good leads; which of your services interest them? ex: purchase products, host a party, start their own business. Don’t just leave your draw slips out for just anyone to fill out and drop in the draw box. Freebie seekers are generally only interested in free items so they aren’t good leads. Talk to the person to see if they may have some interest in one of your services, then offer them a draw slip to enter the draw. Request that they fill out the form completely. If they have omitted some areas ask them the questions and fill in the answers. If they hesitate, explain this is so that you can provide the service they want. Take their completed draw slip and place it in your draw box yourself. Before you put it in the box you add your own notes to help you remember things you might have talked about with them. Do not sit down in your booth, when people see you sitting they will instinctively avoid your booth because they don’t want to bother you. Don’t eat in your booth. Don’t read a book or focus on your smartphone. Do greet everyone that looks you in the eye, and try and catch the attention of those who won’t. Do ensure that you have plenty of inventory. You don’t want to run out of products in your first couple of days of the show. Do have samples or testers for event visitors to try. Do ask a downline, family member or friend to help you if it’s a busy event. They can write up and bag orders while you talk to people. It’s good to have someone watch your booth while you take a break to eat or use the washroom. You’ll welcome the extra help when it’s time to pack up. Stand in front of your table, it’s easier to talk with people when you are on the same side. A word about dress code! Dress professional, neat and clean and slightly better than the attendee’s will. Do not block your neighbor’s booth. Do not allow your customers to block your neighbor’s booth. Ensure your booth fits within the confines of your accorded space and does not encroach on your neighbor’s real estate. Don’t talk to customers who are looking at your neighbor’s booth or talking to your neighbor, it is seen as rude and intrusive to the neighbor and could cause them to lose a sale. If your neighbor is late for the show opening, turn on their lights. Don’t uncover their products or otherwise “open” their booth, unless you know them well, but do turn on the lights. If you have a problem or a complaint about your neighbor, do not bring it up to your neighbor, bring it to the show organizers and make them rectify the issue. YOU do not want to be seen as being the nasty person who said anything to upset your neighbor. Good relationships with the other vendors is very important. Don’t break down your booth prior to the official close time of the event. It will trigger other participants to tear down their booths and kills the show for those participants who are still trying to do business. Get to know the other vendors, make friends, they can let you know about other good public events and can be a good source of referrals as well. Following up is the key! Follow up with the prospective customers, party hosts and business leads who filled out forms for your draw box within two days. Touching bases and building relationships with the people you meet at vendor events is essential to growing your business. Finally and foremost, smile, be friendly, strike up conversations with everyone who happens by your booth, and have FUN! Our Consultants do exceptionally well at vendor events. Go here if you’d like to know more about Watkins home-based business opportunity and how we support our team.